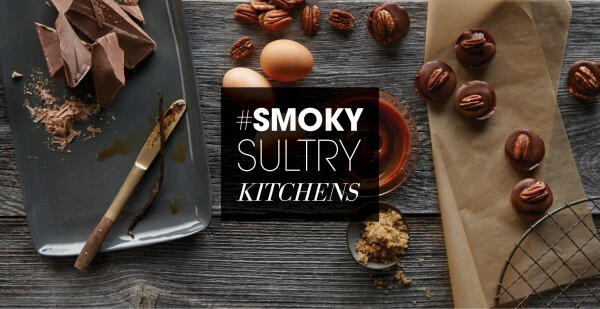 Sultry and smoldering, the smoky kitchen serves a melt-in-your-mouth mix of natural ingredients, lit by modern metallics and touched by robust texture. Richly hued sinks in dark tones pair with brushed metal faucets, grounding the look so the smoky shades can shine. Whether warmly transitional or clean and contemporary, the sultry kitchen is a trend that's gaining traction. Earth-friendly materials, spicy hues, and simple lines come together in a savory space designed for shared cooking, where smoky glass and rustic texture takes the edge off urban lines. A touchless faucet adds sculptural presence, keeps messes at a minimum, and speeds you through prep and cleanup. Consider a charcoal-hued sink with a lower divider that offers you plenty of space for large pans and the convenience of two bowls. Smoky glass cabinet doors add sultry color and show off your beautiful glassware, bowls, and vases. 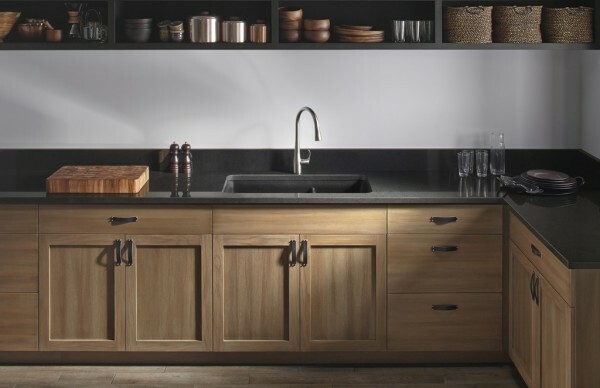 Choose dark wood cabinetry with a prominent grain to add texture and warmth to a sleek space. Love this look? 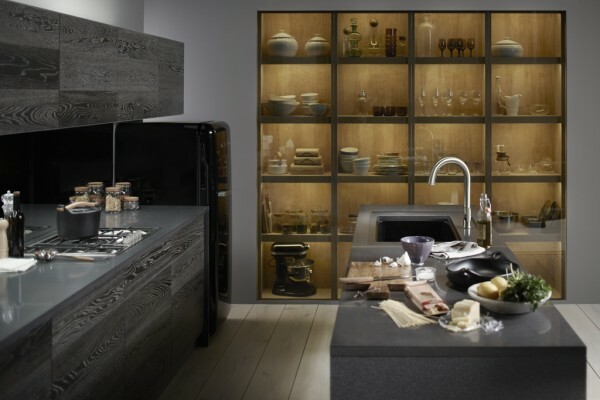 Explore our Smart Glass Kitchen moodboard. Reflecting an affinity for honest, authentic building materials, the new-natural kitchens show off lean profiles with plenty of touch-me texture. Earthy tones and smoky hues, like the sink's matte black and warm wood cabinetry, complement the visual texture of stone countertops. And the smoothly curving faucet, with a rotating sprayhead and forceful spray, works hard to help you speed through prep and cleanup. Consider a sink with different bowl sizes and heights for a task-friendly workspace. Choose simple, subdued accessories with just a bit of glimmer for a calming effect. Open shelving keeps the style streamlined and helps you stay organized and clutter-free . Love this look? Explore our Warm Simplicity Kitchen moodboard. 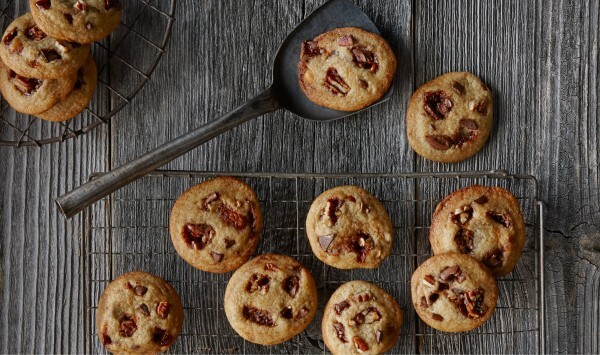 Get our recipe for Terrapin cookies made with KOHLER Original Recipe Chocolates.